Last year, after the bombs, police stopped an ever-swelling horde of puzzled runners just before the Mass. Ave. bridge, less than a mile short of the finish. Thousands milled about, sweating and going cold. And 35-year-old Gina Chupka was becoming frantic. The Westfield, Mass., native, now living in Colorado, entered last year’s race with the end of her quest—50 marathons in 50 states by age 40—in sight. With 49 completed, heading home to run Boston had seemed the perfect way to end it. She was too slow to qualify, but her dad was an old pal of Boston running fixture Tommy Leonard’s and cadged one of his invitational entries. Her parents, Kathy and Norman Fioroni, were sitting upstairs at Forum restaurant on Boylston with her husband, Kris, and her girlhood friend Erin, a perfect perch for watching the runners pass. All morning, all race, Chupka had felt off-kilter, thinking for the first time that she might not even finish. But once she had passed the Citgo sign near Fenway, once she saw the Mass Ave. bridge looming, she thought, No, this is the moment. It’s going to happen. . . . Finally someone texted Gina back to say that all had survived unscathed; the family met hours later near their downtown hotel. None of them had ever been to a Boston Marathon before. 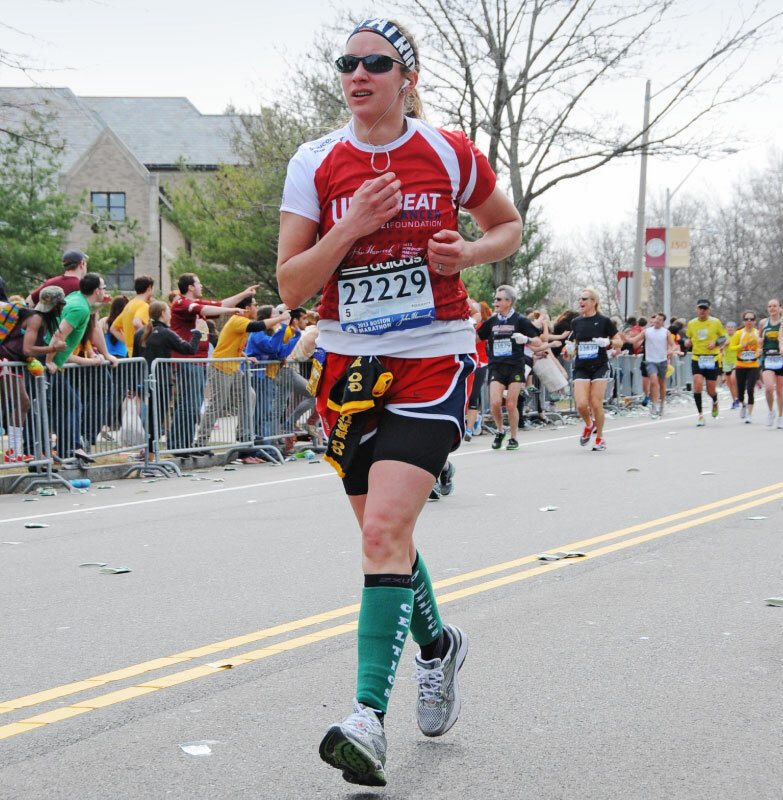 Three weeks later Chupka traveled to a small marathon in Holyoke, Mass., to complete her 50th state. Even more relatives came out to watch. But somewhere around mile 16, it hit her: What am I doing? I don’t want to finish this way. When she saw Gina coming, Kathy Fioroni ran down from the finish line to encourage her daughter for the final few dozen yards. “Don’t be mad,” Gina said. “What do you mean? Come on!” her mom said. Chupka chugged past, touched the front edge of the finish line with her toe, but then, after 49 states and another 26.217 hard miles, she veered off to the side. She didn’t cross. “I’m going to go back and finish it in Boston next year,” Gina said. Her mom tried arguing: You don’t know if you’ll get in. . . . You can’t qualify. . . . How will you get another invitational entry? It’ll happen, Gina told her. You’ll see.